Random Laugh, Simpsons, Oom Pa Pa, and All Fall Down signals. Band and crew introductions from Fish. Possum included Random Laugh, Simpsons, Oom Pa Pa, and All Fall Down signals. Mockingbird contained Harpua teases from Mike. This version of Icculus (first since April 6, 1991, or 118 shows) was, perhaps, the shortest version ever as it did not contain the usual build-up and screaming. Antelope contained a Follow the Yellow Brick Road tease from Trey. Terrapin included band and crew introductions from Fish. Carolina through Sweet Adeline were performed without microphones. Widespread Panic opened. 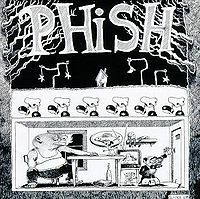 On 4/16/92, Phish began a legendary five night run (4/16-21/92). Each of these shows is listed among people's favorites, and I never saw any other Phish shows that came close to this level of playing or intensity. I felt they were out to prove something...to sell themselves. A little Anaconda history: I grew up in Los Angeles, and would spend a week each summer (for ten years, starting when I was five years old) in Santa Barbara at the UCSB family camp. I loved it there, and I really liked hanging out in Isla Vista (the UCSB college "town"). My first memories of the Anaconda were when the place was a Bank of America. After the bank closed, the place became a pool hall / arcade which I would spend many hours in during each of my summer visits. My last time at the place was during the summer of 1987, and I had no idea that Phish would be playing the same room five years later. I showed up in the middle of the afternoon before the show. Instantly we were hassled by UCSB cops. We weren't actually doing anything but waiting in the lot before the show, but the cop caught a glance of our pipe and needed to threaten us for a while. Soon after the pig walked away, the bands showed up at the venue. I then spent the afternoon with Trey, his dog Marley, and Dave Schools (Widespread Panic bassist). At the time it seemed like nothing special; we were all just killing time waiting for the show. This was back in the days when the band actually hung out with folks before and after the show. During this tour, the only one in the band who didn't hang with random fans was Page. So showtime rolls around, and we walk in. No more than 100 people in the venue, plenty of space. You could walk to the stage and hang out, or drop back fifteen feet and have lots of dancing room.. Plus, it was a bar and the place had arcade games all along the walls. By the time WSP finished their opening set, I'd say the crowd had grown to about 200 people total. I remember being stoked that I could leave the venue during setbreak and get pizza across the street, and then come back for Set II. The show starts off with a great combo of "Buried Alive" and "Possum". No warm-up time needed for this show, they come out of the gate at "11". By the opening notes of "Possum" they've got the crowd in their hands and they're playing with us -  building crowd anticipation until they finally start playing the song. "Bouncing Around the Room" was great fun, followed by a really funky version of "Split Open and Melt" (the tape that I have is really bass-heavy, and Mike really pounds out the groove in this version). Trey's solos in this version are completely on fire; it's the second peak of the first set. The band easily transitions from "Split Open" to "Rift", and the solid playing continues. "Maze" is easily the third peak of the first set, with Trey just tearing it up. It was so good that it seems like he was inspired to do some Gamehendge stuff, including a quick introduction about Gamehendge before he transported the crowd there. I guess he could sense that most members of the crowd had never seen the band before and were unfamiliar with the story. The narration is classic!. The whole Gamehendge mini-set is epic with a fantastic version of "Mockingbird"; I had no idea how rare this was at the time, we were just having a blast! 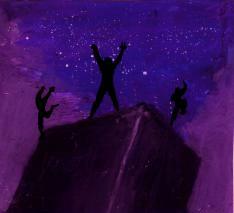 The set ends with the forth peak of the set, a dance till-you-drop version of "Antelope". Second set starts with a great set of tunes. The "Sanity" is goofy, but at the time it seemed perfect. The "Llama" and "Lizards" are both played well, but the peak of the set was the "Mike's" > "Hydrogen" > "Weekapaug". This version is one of my personal favorites and really floored me at the show. I was totally blown away by the sheer power of the music and by how tight and together the band was playing. The show slows down after the "Weekapaug"; I guess we all needed a break after something that intense. The rest of the show was solid, but nothing spectacular. We walked out of the show that night drenched in sweat, happy to have seen Phish play at their full potential. It was a totally different experience than my first show the night before, regarding both the music and venue. This was the show where I "got it" as far as Phish was concerned -  I was hooked. We drove the four hours back to Santa Cruz after the show, getting very excited to see Phish play at the Warfield the next night. So much has been said of the April 92 West Coast run that I have nothing new to add. It's just awesome. That said, the Weekapaug in this show is one of my absolute favorites of all time. Mike's forwardness in these mixes really gives you a good taste of the magic he works in the band, and in this track in particular, he bubbles and simmers under the arrangement in a sublime way that keeps it barreling along without ever being overbearing. Trey's guitar parts for this version are subdued and focus more on the dynamics rather than indulging his "Machine Gun Trey" side. The Forbin's->Icculus->Mockingbird is also highly recommended, as the Icculus is in service to the narration of the suite of songs, and isn't a typical slow build-up to hilarious screaming. Something a little different. 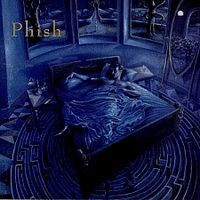 However, to appreciate Phish and where they came from you have to hear these shows, they have their goofiness and weird moments that makes them uniquely Phish but also throws a ripple in the energy of the show throwing you off balance. 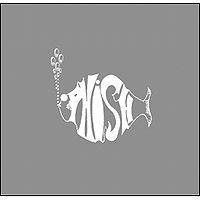 But in my opinion, the moments in these shows, like Buried Alive-->Possum (4/16) is quite simply the best Phish has ever played! The band is composed of 4 complete scholars of music. They are each master musicians at their instruments. With that said, the band is still a Trey - Guitar oriented band. When he is really going off AND the band is really going off in a matching way, like a few moments in these shows, it is perfection. I think it is the youthful restless Trey going "Marty McFly in Back To The Future" on the guitar that really sparked these genius moments of playing. Post 2001 Trey has gotten a little older, more mature and just doesn't quite have the same ability in his fingers anymore. Great expressive and mindful jams, but that 1992-1998 ripping ability is fading! This was a very heavily traded show back in the day when Phish was surging to stardom. I'm sure these tapes in particular played a role in driving their rise. I know I sent this one out to many people. It's just a great show...definitely my favorite of the California run and one of the best of the year. The first set is a perfect showcase of what they were doing at the time. The second set is a little gimmicky but the Weekapaug is sublime. This is my favorite Phish show. Owned these tapes about 18 years ago not long after I first heard Phish. Hard to avoid developing an obsession for the band when you have this show in your collection. It's priceless. Really good show! Very nice Mike heavy mix. Good playing. A little loose during Bouncing, Fee and the begining of Maze, but overall a great first set. The Forbin's narration is awesome and unique with the Icculus in there. Rocking Antelope. Great set openers tonight with Sanity and Buried Alive. Llama rocks! A great second set continues with a huge Weekapaug Groove! Really a precursor to what we are all used to today. Fish's Terrapin and introductions are great with the crew taking solos! Triple barbershop treatment! Good Suzy to close. Great encore to end a great show full of energy tonight. in my opinion, this run from 4/16-21/92 is one of the only string of shows that compares to the island tour in '98. this night is probably my favorite of the run. any show that opens with buried alive is probably going to be pretty hot, and i love the pairing with a red hot possum. trey really gets nice and bluesy on this one, when he is not having some nice secret language fun. i love the early 90's versions of its ice. fishman has a nice loose feel on these early versions. batr is pretty straight forward, but the soa melt that follows is very nice, especially for the time. page has some nice licks in here. rift and fee are pretty straight forward, before ol' page storms out again on a red hot maze. then, check out this FIRST set closing sequence. we dip into gamehendge with an awesome forbin>icculus>mockingbird. as if that was not enough, trey buries an antelope closer before the boys take a break. what a first set! sanity really says it all here. this song is always a good indication that the band is feeling a bit fiesty. llama gets them back in a tight playing mode and lizards works well after wards. then they blast off into a mind blowing mike's song. trey and fishman really take this one over the top before crashing into hydrogen. weekapaugh is no slouch either. horn and poor heart work well before the fishman segment kicks off. i love terrapin and this is a good take. a quick run of 3 accepellas works well before a rowdy suzy closer. monkey is monkey. this show has some amazingly tight playing and a very unique setlist. it is straight up stacked, buried alive, forbin>icculus>bird, 'lope, sanity, mike's groove..... what a show! This was the 1st live phish i heard and it was life changing. Thank you Justin L and Scott W! Top Phish Show #4. I had been going back and forth debating inwardly whether context mattered when listening to these shows. I decided to take a week off from listening to shows from 1992, and I think it helped tremendously with respect to this show. It is now my favorite show of '92, and by a fairly wide margin. This show had so many gold nuggets you could have started a second California gold rush! The first set opens innocently enough with a nice Buried Alive > Possum combo. Possum has a fun intro with lots of the customary sign language, and features a great, blistering jam with a scorching hot Machine Gun Trey. Possum was great back in the day, and this is another one that shouldn't be missed. The spreadsheet tape of this show has Mike dialed waaaay up in the mix, and it's awesome to hear him shine in this excellent version of It's Ice. This Ice grooves all the way through and provides some nearly-transcendent dissonance. Bouncing-Melt-Rift follows, of which the main highlight is some nice shredding as the focus of a funky(!) Melt jam. It's a little different than usual, but I enjoyed it. Trey wins the piano vs guitar duel in Maze, with ferocious playing that at times makes you fear for the life of his poor guitar strings. There's more bending going on here than a 6 AM yoga class! Forbin's > Icculus > Mockingbird is next, and it's a solid rendition of the tale that was mostly utilized to educate the So. California crowd on the story of Gamehendge. The story is a little convoluted, but the Icculus is the shortest version ever and definitely worth a listen. (Note: I listened to this show with someone who is pretty new to Phish, who knew nothing of the Gamehendge saga, and he was blown away. He spent the rest of the night looking up the Gamehendge story and getting wrapped up in all the lore. Awesome!) Antelope closes the set, and this is surely the highlight of the night. This is another contender for Antelope of the Year in a year that was filled with these types of jams. The dissonant, melodic, awe-inspiring beast of a jam must be heard to be believed! Set two opens up with Sanity, a song that is probably better served in another slot. When listening to this show, however, it was juxtaposed right next to the preceding Antelope, which made it feel more like a breather song. Another breather was needed after the Llama that followed. Anchored by a rock solid rhythm section performance, this version of Llama is absolutely volcanic and features Machine Gun Trey firing at will, as if they were about to take his guns away. Page's piano tinkles signal the start of The Lizards, another song my noob friend was really into as we listened along together. Mike's Groove was solid, as usual. They were definitely starting to take risks on Mike's by this time, as the customary six minute tune had now been routinely lengthened to eight minutes. This Mike's features balls-to-the-wall tension, if you're into that. As for Weekapaug, well...God bless the guy who decided this mix needed more Mike. Since the bass is so high in the mix, it's really a glorious listen. Incidentally, this version is really interesting. Trey crafts a weird, spacey jam, and a highly re-listenable one, at that. In a sea of Weekapaugs that are decidedly "in-the-box", this one is decidedly "out". 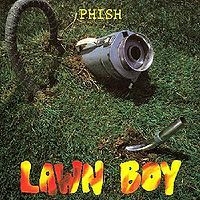 The show winds down with a typical early '92 set two victory lap, but I'd be remiss if I didn't mention the gorgeous Horn that followed Mike's Groove. This song is an excellent breather in the second set, and I really wish it could make a grand return to the second set on a consistent basis! I have one last chance to sing the praises of this mix, by the way, and it has to do with the high quality of the funky set-closing Suzy Greenberg. Mike is awesome. He's the best. This is a jam-chart version of Suzy IMO. If I was making my own "Top 100" list, I'd have to imagine this show would be on it. 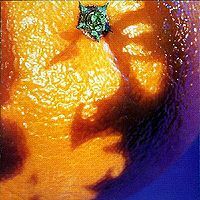 Moreso the first two '92 shows on TPC3.0's Top 100, I feel like this show is the band making a statement to their new Californian fanbase. This is the exact type of show that SHOULD be on the Top 100, a historically relevant show that features transcendent versions of just about everything that was played. Highly, HIGHLY recommended.